For the first concert of the Melbourne Recital Centre’s Australian Voices series for the year, 23 composers wrote two-minute pieces in response to 23 poems by Samuel Wagan Watson, one of Australia’s most important living poets. The composers were all chosen because they had some connection to Watson’s home town of Brisbane during the Bjelke-Petersen years of Watson’s youth. 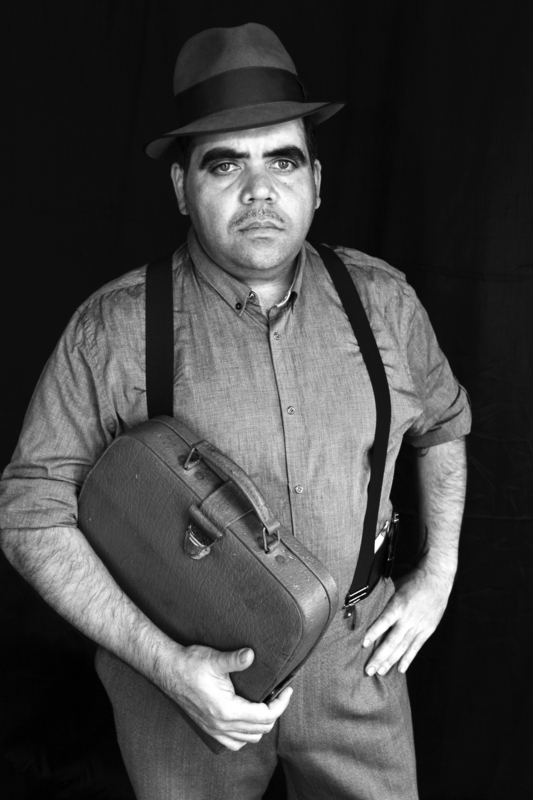 Watson’s poems follow him beyond his childhood, out amongst the hoons, Satan-worshippers and humming electricity pylons of the outer suburbs; deep into the last outposts of rural Queensland; then overseas to Wellington and the Berlin wall. The format, alternating readings by Watson with musical performances, reflected its original commission for the Music and Words series at the State Library of Queensland. Watson’s poems combine brooding interiority with colourful exteriority. Reflecting the often contradictory mood being evoked and picture being painted tested the versatility and sensitivity of the composers. Where the mood and images of the poems were aligned, the piece could serve simply as an evocative counterpart. Many of Watson’s poems recall his childhood in “Tigerland,” the area of Brisbane around Mt. Gravatt in Brisbane where Watson grew up. Paul Dean’s piece based on the poem “Tigerland” used racing rhythms worthy of Stravinsky and lush, Gershwinesque harmonies to paint busy street scenes. Two poems about Watson’s childhood fear of the dark rendered strikingly different results. Richard Mills’ “Scared of the Dark,” where Watson remembers “Bjelke-Petersen policemen at [his] parents’ back door” and the shadows of truck headlights on his bedroom wall, was sung in an eerie Brittenesque soprano line by Judith Dodsworth. Stephen Stanfield’s piece based on “Author’s Notes #1” used more traditional horror movie soundtrack trills and angular wind and piano lines. “Author’s Notes #2” reflects upon the act and experience of writing. Sean O’Boyle’s transparent, major-mode miniature captures the liberating moment of blue-sky optimism that Watson writes about when confronted with a blank page. More complicated poems yielded mixed results. The threatening undertone and final conflagration of Capalaba house was eschewed by composer William Barton in favour of a whimsical (but extremely beautiful) duet for oboe and piano and then a trio for oboe, bassoon and piano. Barton was, notably, one of the only composers to compose for less than the entire ensemble. Watson tinges “Ghosts of Boundary Street” with menace, despite the poem describing all people made equal by hangovers on New Year’s Day. Despite the contrast and detail of the poem, Lisa Cheney’s piece paints the poem entirely in asphalt-grey. Similarly, Watson’s ambivalent feelings on visiting Wellington are pasted over by Tom Adeney’s saccharine, filmic setting. I recently commented on the difference between cultural engagement and cultural appropriation in contemporary music, arguing that we needed the former while being careful not to slip over into the latter. Smoke Encrypted Whispers is a model of such responsible engagement, where an Indigenous perspective is being offered (rather than assumed) and composers are contributing to the project as equals.